While playing Telephone Pictionary, a couple buddies and I decided we could create this as an app. Telephone Pictionary is a game I play with friends where you alternate drawing and writing. Because it could easily be played asynchronously, you could have several games going at once with players all over the world. We all had full time jobs. There were other applications out there that worked similiarly; we’d have to set ourselves apart. Drawing on a phone isn’t nearly as easy as on a piece of paper. We had to develop a method to store the data from individual user inputs and combine them all in a easy to access/use final image. Determine a way to play a local game. All screens wire-framed in high fidelity using JustInMind. 50+ user testing sessions conducted. Local game mode prototype working on Android. Implement the online game mode. Eliminate ways users can inadvertently delete an in progress game. Tweak the drawing methods to allow for more precise control. Build a zoom function into the application. Lock the phone with only that application open. 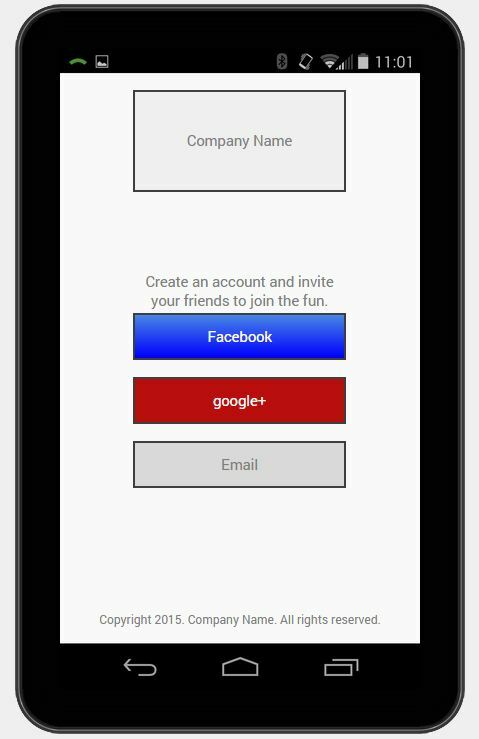 Allows users to login with Facebook, google+, or email. 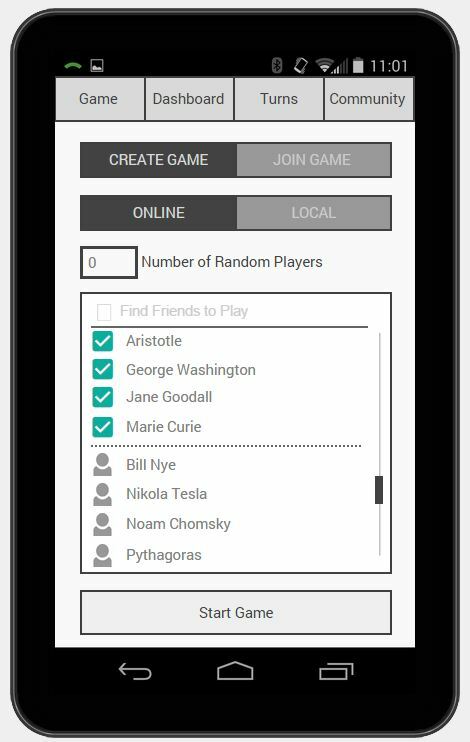 Allows you to choose which characters you want to play with when you’re creating an online game. 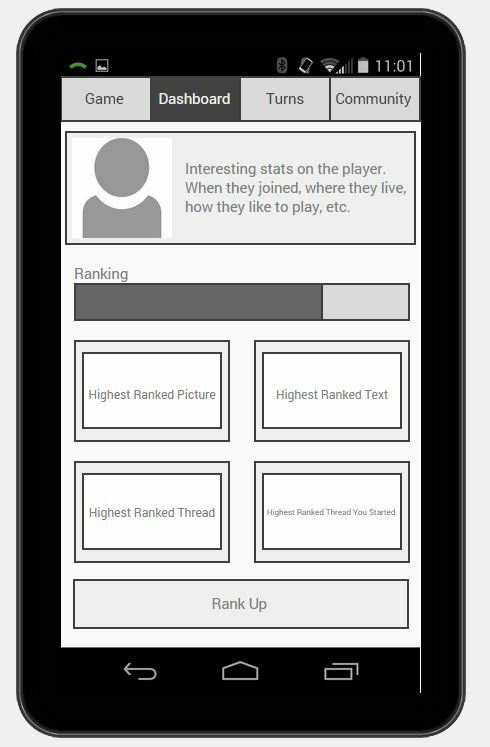 Allows the player to check their rank and see the top games of the day.